After reading raves about Park Avenue Beer shampoo on many blogs, I finally thought of giving it a try. I was skeptical to try it as I really cant stand the smell of beer (yuk!). 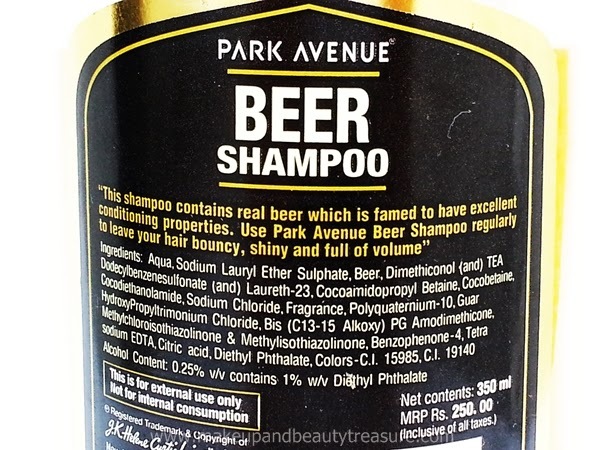 today I am going to discuss my experience with Park Avenue Beer Shampoo. 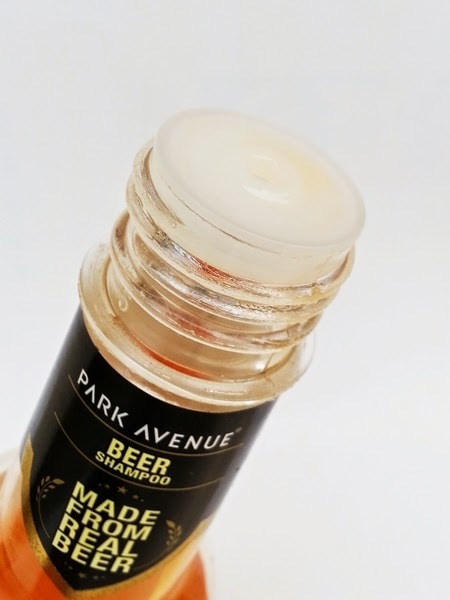 Park Avenue Beer Shampoo comes in a sturdy, clear plastic bottle with a golden screw top lid. The packaging of the shampoo is quite distinct and resembles a beer bottle. As soon as the lid is opened you will find a stopper with hole that dispenses the right amount of product. I really need to press the bottle a bit to dispense the shampoo into my mug. The lid is quite tight and the bottle can be securely carried around in bag without any fear of leakage or spillage. The shampoo is light yellow in color with a weird smell of beer. Although the scent is not overpowering but I am actually not fond of such kind of scent. 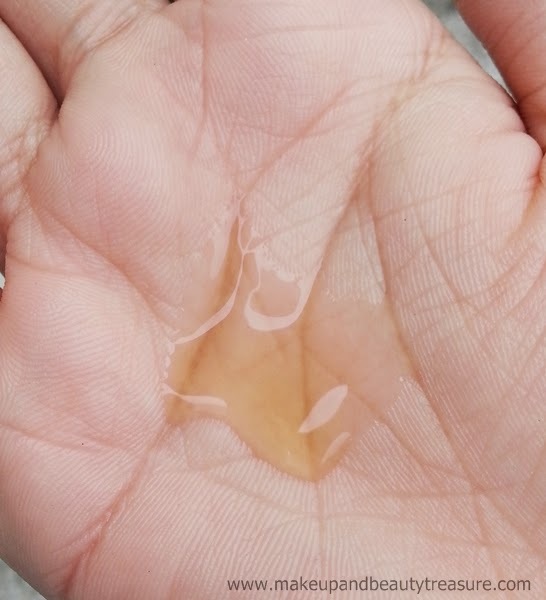 The texture of the shampoo is soft and smooth with runny consistency. I always make sure to dilute my shampoo to reduce the damage the chemicals may cause to the hair. The shampoo is easily applied and gets spread to my medium length hair. Whenever I oil my hair, I require more shampoo than required though it happens with all the shampoos in my case. It creates good lather and the scent does not tend to intensify. It is easily rinsed away. After using the shampoo, my hair feels soft, thoroughly cleansed (I apply oil before washing my hair!) and manageable. I have soft, silky hair with dry and frizzy ends. My ends feel soft and I could not find any or less knots while hair brushing that I used to face when I use harsh shampoos. Despite being a beer shampoo, it does not add any shine to my hair. My hair does not feel bouncy or voluminous which actually disappointed me. It controls the frizz but I always make sure to apply a good conditioner (currently using Tresemme Climate Control Conditioner!) to make my hair soft and moisturized. It does not leave greasy residue behind or any build up. The scent does not linger and fades away as soon as the shampoo is rinsed off. I have not experienced any adverse effects whilst using it. • Makes hair soft, smooth, clean and manageable. • Does not dry out the hair or scalp. • Does not offer shine to hair. • Does not make hair bouncy. 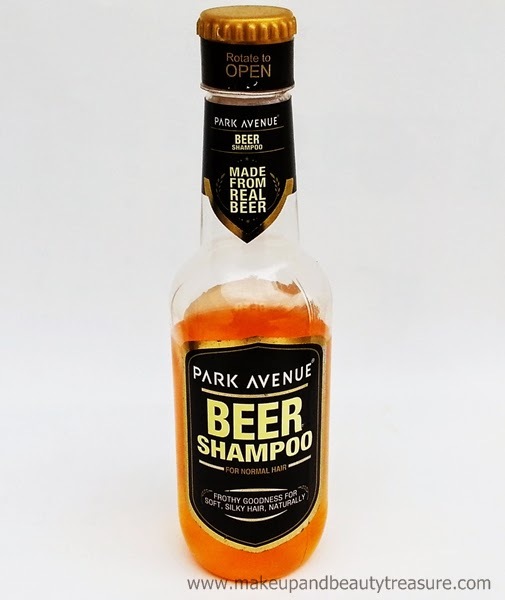 I find Park Avenue Beer Shampoo quite an average shampoo. It does make my hair soft, smooth, clean and manageable. The scent is a bit weird but fades away as soon as the shampoo is rinsed off with water. It does not add shine to my hair which is totally disappointing for me. It does not add bounce to my hair as per its claim. I did not find it worth the hype. I would recommend it to you only if your hair is unmanageable but then who does not want shiny hair! 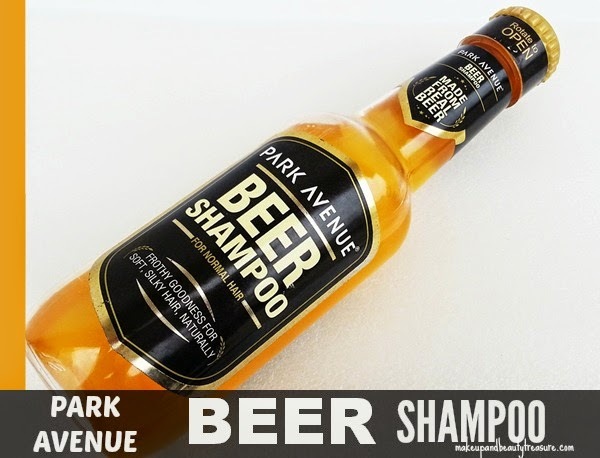 Have you tried Park Avenue Beer Shampoo? How was your experience? Share in the comments section below!